At the end of 2016, elephants made headlines around the world as China finally announced a timeframe for closing its domestic ivory market – long affirmed by many conservationists to be the single biggest step that could be taken to end the slaughter of elephants. The news represents a major win for elephant conservation and the Chinese Government deserves commendation. However, close examination of the recent announcement gives some potential causes for concern – it is now imperative that the ban be strongly publicised and enforced, and that any potential loopholes be closed. China is by far the world’s biggest contemporary market for elephant ivory and the final destination for the majority of ivory from poached elephants. The continued existence of a legal ivory trade in China has been a major hindrance in combatting this illegal trade. As of the end 2016, there were 34 licensed ivory carving facilities and 130 licensed retail outlets in China permitted to process and trade in ‘legal’ ivory derived from either old (pre-CITES) stock or a CITES-sanctioned one-off sale in 2008. However, EIA investigations and research by other groups documented widespread abuse of this poorly regulated system, which enabled the laundering of illegally sourced ivory. Closing this loophole could massively simplify enforcement operations – with no legal market to launder ivory, any processing or sale is illegal and can be immediately dealt with as such. China’s intention to close its domestic market was first announced in May 2015 and was restated by President Xi Jinping the following September. On December 28, 2016 a notification of plans to close the domestic market in its entirety by the end of 2017 was finally published (a full, unofficial translation of the notification can be found below). Looking into the detail of the document, there is potential for both celebration and concern. First, the positives. The notification sets out an impressively ambitious timescale for stopping all ivory carving and retail activities in previously licensed facilities by the end of 2017. Unlike the upcoming ban in Hong Kong, traders have not been given an unnecessary five-year grace period to dispose of stock – stock which should have been exhausted long ago and the imminent illegality of which was well known. 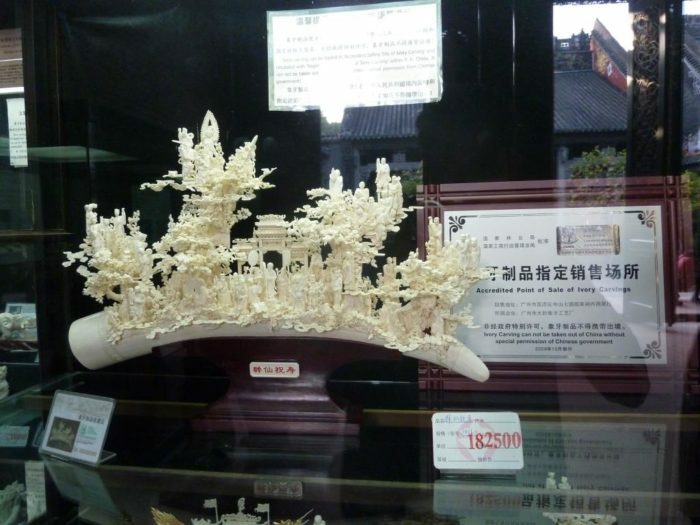 Secondly, a compromise appears to have been reached to maintain the cultural heritage of ivory carving – the main argument from opponents of an ivory ban in China. The notification commits to “proactively guiding the transition of ivory carving techniques”, including providing guidance in using alternative materials and encouraging master carvers to move into museum restoration. However, the notification contains a worrying potential loophole which requires urgent clarification. It states that “cultural relics made of ivory that are of legal origin and have been verified by a specialist appraisal body may … be auctioned under strict supervision, to demonstrate their cultural value.” The term translated here as ‘cultural relic’ usually refers to antiques, but not explicitly so. This indicates that limited sales of ivory antiques – and, possibly, even any item judged to have artistic merit created or sold under the previous licensing system and regardless of age – may be allowed to continue. Indeed, the potential loophole has already been interpreted as such by the antiques industry. The current language sends an ambiguous message to markets and risks undermining the effectiveness of the ban and demand-reduction campaigns. Also, the Chinese Government and the international community must ensure that the ivory market does not simply shift to other areas with weak enforcement or lax legislation, especially in countries bordering China. The open sale of huge amounts of nominally illegal wildlife products – including ivory and tiger products – has been documented in border regions of Vietnam, Laos and Myanmar. In many of these markets, Chinese citizens represent the vast majority of buyers and trade is conducted in Chinese, often with Chinese currency. Targeted collaborative enforcement efforts are urgently required to close these markets and ensure illegal ivory cannot leak across the border into China. Overall, the Chinese domestic ivory ban is a major cause for celebration and optimism as we begin 2017. Although the potential loopholes need clarifying and closing, this notification sends a strong and timely signal that the global ivory market is progressively shutting up shop. 1) The cessation of commercial processing and sale of elephant ivory by stages. The processing and sale of elephant ivory and the products thereof at the first batch of designated processing units and designated sales spaces shall cease by March 31, 2017; all such activities shall cease by December 31, 2017. The State Forestry Administration shall determine the specific list of such units and shall announce them publicly in a timely manner. The relevant units shall cease processing and sale of elephant ivory and the products thereof within the stipulated time limits, and shall apply to the Administrative Department for Industry and Commerce to conduct the necessary processes of altering or cancelling registrations. The Administrative Department for Industry and Commerce shall no longer handle applications for establishing or amending companies that relate to the commercial processing or sale of elephant ivory. 2) Proactively guiding the transition of ivory carving techniques. Once the commercial processing and sale of elephant ivory has ceased, the Department of Culture shall guide the transition of the guardians of ivory carving techniques and relevant practitioners. Records shall be made of those ivory carvers who are covered by national or state-level intangible cultural heritage programmes, to leave behind comprehensive information on their work processes and key techniques. Renowned masters of ivory carving shall be encouraged to undertake arts restoration work at institutions such as museums. Guardians of ivory carving techniques shall be provided guidance in use of alternative materials to develop their carving techniques. Non-commercial social and cultural groups and industry associations may integrate existing resources to set up ivory carving workshops, to conduct research into and transference of ivory carving techniques, but may not undertake related commercial activities. 3) Strict management of the collection of elephant ivory and the products thereof. 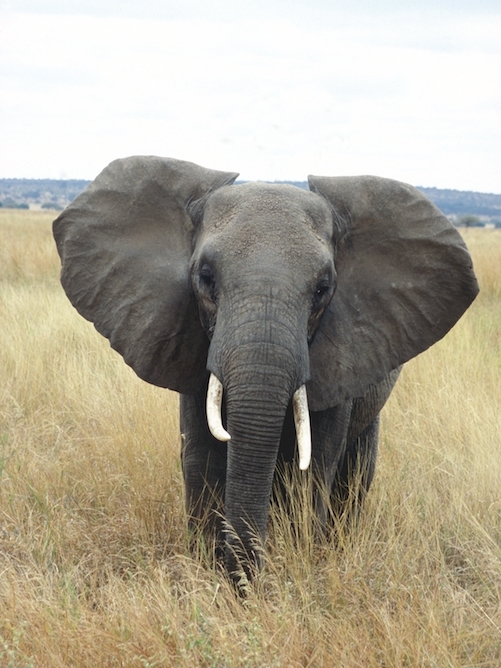 The sale of elephant ivory and the products thereof on the market or via the internet is prohibited. Elephant ivory and the products thereof that is of legal origin and carries a special marking may be displayed or exhibited at museums, art galleries or other non-commercial spaces, and may be transported, gifted and inherited, in accordance with the law. 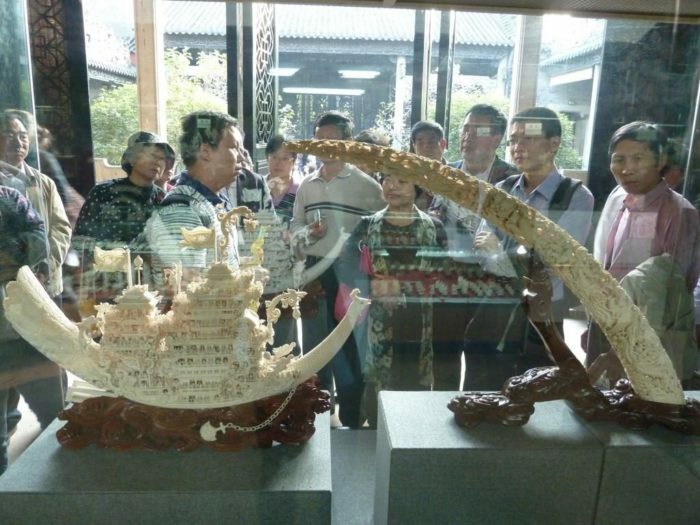 Cultural relics made of ivory that are of legal origin and have been verified by a specialist appraisal body may, having obtained the necessary permits in accordance with legal processes, be auctioned under strict supervision, to demonstrate their cultural value. 4) Strengthening law enforcement and public education. Departments of public security, customs, industry and commerce and forestry shall, according to their professional duty, strengthen enforcement of the law, and shall continue to increase the intensity of efforts to combat illegal processing, sale, transportation and smuggling of elephant ivory and the products thereof, focusing particularly on investigation and seizure, destruction of illegal processing sites, and obstructing illegal sale on the market or online. They shall conduct extensive public education and conservation awareness activities, and shall vigorously advocate the concept of ecological civilization, guiding the public to reject illegal trade in elephant ivory and the products thereof and to build a social environment that is conducive to the protection of elephants and other wild fauna and flora. The governments of all provinces, autonomous regions and municipalities and all relevant departments shall attach great importance to strengthening organisational leadership and clarifying professional duties, in order to ensure that the cessation of commercial processing and sale of elephant ivory and the products thereof is carried out smoothly, and shall make appropriate arrangements for the transition of relevant units and persons, in order to conscientiously safeguard harmony and stability in society.